In this post, we share with you a list of our college admissions, related statistics, and the list of the colleges and universities that have made visits to BASIS Independent Silicon Valley. Given this is our first graduating class, we're proud to be firmly planted on the radar of some of the best colleges and universities in the country, if not the world. In a letter to the BASIS Independent Silicon Valley community on April 6, College Counselor Mr. Chris Wilcox shared, "What a wonderful inaugural year this has been on the college admissions front! Over spring break, our 14 seniors received news on the remainder of their college acceptances, and we now have a full list of colleges to report." He ends by sharing, "I am personally so proud of the accomplishments of each and every student. 100% of our students were admitted to a college on their preferred list, and all have multiple strong offers. Congrats seniors!" College and University visits are an important element of the toolkit that college counselors use to educate top colleges and universities on the quality of the student body at BASIS Independent Silicon Valley. BASIS Independent Schools students are uniquely positioned for top colleges for myriad reasons: our accelerated, academic program, coupled with expert teachers who are genuinely invested in the success of each child, our dedicated college counseling program with low counselor-student ratios, plus the reputation that BASIS.ed-managed schools have long-established with colleges around the world. Colleges and universities recognize what it means to have graduated from a BASIS.ed school, and school visits play a key role in reinforcing the quality of our program. We were delighted to host not only the fantastic institutions in the state of California, but also to open our doors to prominent schools all over the country, including Cooper Union, Dartmouth, Harvard, and Yale, to name a few. View 2015-2016 college visits here. 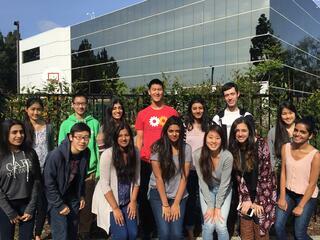 Congratulations to our students and to College Counselor Mr. Chris Wilcox and all our faculty for an outstanding first year of college acceptances at BASIS Independent Silicon Valley! As we grow from our two flagship campuses, BASIS Independent Silicon Valley and BASIS Independent Brooklyn, to planting our flag in some of the most exciting geographies in the country with BASIS Independent McLean, BASIS Independent Manhattan, and BASIS Independent Fremont, this incredible accomplishment is a sure sign of things to come for students at BASIS Independent Schools!